Egyptian President says he will not violate country's constitution which permits leaders to serve only two four-year terms. 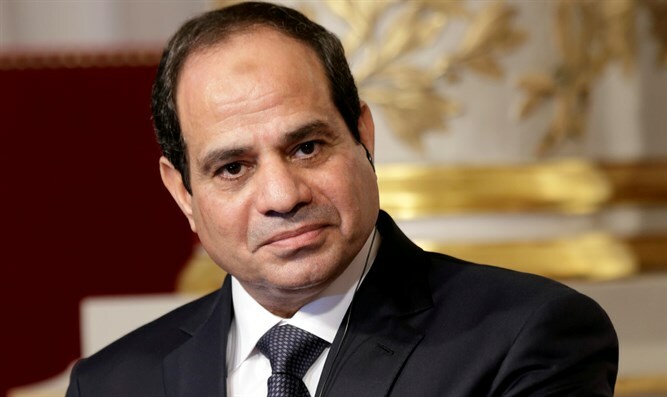 Egyptian President Abdel Fattah Al-Sisi told CNBC that he will not seek a third term in office, noting the country's constitution permits its leaders to serve only two four-year terms. "It doesn't suit me as a president to stay one more day against the will of the Egyptians. This is not talk for TV, those are principles I embrace and am keen on," he told CNBC in an interview which took place over the weekend. "We will not interfere with (the constitution). I am with preserving two four-year terms," he added. Sisi said elections in Egypt will be held in March or April 2018. He did not directly say whether he intended to run in the anticipated vote. Sisi came to power four years ago in a landslide victory after the army, led by him, ousted former Islamist President Mohammed Morsi of the Muslim Brotherhood. Despite being criticized for his handling of economic and security issues, Sisi's supporters have already begun petitioning for him to contest the 2018 election. "There is no president who will sit in the chair without the will of the Egyptian people," he told CNBC. In the interview, Sisi also praised U.S. President Donald Trump, saying he is improving the fragile security situation in the Middle East. "I see that President Trump is managing foreign policy in our region. Can I say in short that the United States has regained its weight in the region and its role, and is preserving the security of the region and its countries," he told CNBC. "We are completely supporting and cooperating with President Trump on this," Sisi added. After Trump’s election, Sisi praised the new president and said he expected greater engagement in the Middle East from his administration. Relations appeared to have been strained several months ago when Washington decided to deny Egypt $95.7 million in aid and to delay a further $195 million because it failed to make progress on respecting human rights and democracy. Several days later, however, Trump called Sisi and said he was keen on developing the relationship between their countries, and overcoming any obstacles that might affect it.